A half century ago, the President of Chile, Eduardo Frei Montalva, inaugurated a massive national reforestation program, an important action leading to that country’s notable forestry sector development. At the time, one quarter of Chile and about two thirds of its agriculture land was cursed with widespread erosion and desertification. Chile was a net importer of food. Agricultural labor was mostly seasonal for poor field workers, hardly providing a living wage. Rural poverty, hitting mostly the small farming campesinos and indigenous Mapuches, was becoming a serious political problem and a growing social concern. Consequently a widespread agrarian reform program was put in place to produce more food for the national market, and to begin to address the social problems of the countryside. It was also seen by the reformers as a tool to break the socio-political profile of traditional latifundio land ownership and eliminate the system of indentured inquilino labor. The agrarian reform, especially the land confiscation element, was highly controversial. To this day there is still considerable debate over whether it was a positive or negative force for the subsequent development of the food and agriculture sectors in the country. Frei’s reforestation initiative, embedded in the government’s broader rural development program alongside the agrarian reform program, promised to fight erosion, provide more income to rural workers and farmers, and supply raw material to the nascent wood products industry. Frei repeatedly warned that “El desierto avanza“, the desert is advancing! 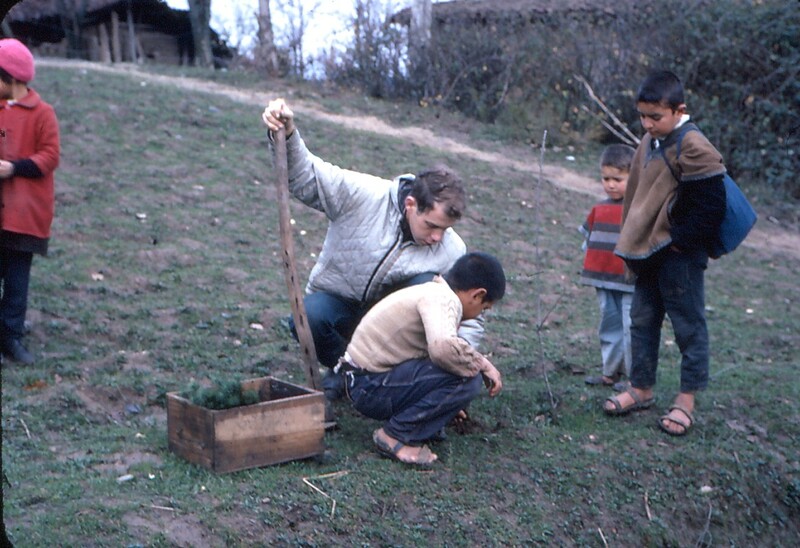 The liberal US governments of John F. Kennedy and Lyndon Johnson, within the context of the Cold War and ideologically in sync with the Chilean Christian Democrat government of that time, recognized the transformative potential of the Eduardo Frei rural development program, especially the large reforestation program. 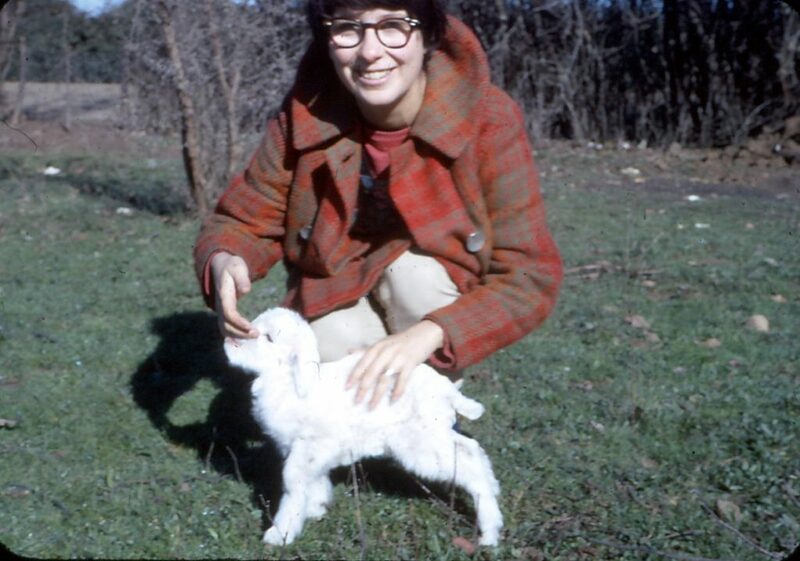 So between 1966 and 1970 several cadres of Peace Corps Volunteers were sent to Chile to participate in the program. Many were recent forestry graduates from diverse US Universities (including the author of this blog). Others were graduates with communication and organizational skills also needed in the reforestation program’s promotional activities. Forestry sector development had begun in Chile well before the US Volunteers arrived. In the mid 1800’s, the Chilean national government encouraged the aggressive practice of forest burning to free land for colonization. Many Europeans were recruited to resettle in Chile, to clear and farm the fertile lands of southern Chile. They were given title to these extensive properties. The officer in charge of colonization, Vicente Perez Rosales, led the attack on the existing forests. It is interesting that in spite of his role in this extensive forest clearing and destruction, a national park was created in his name in 1927 to protect forested lands from such devastation; Parque Nacional Vicente Perez Rosales is one of the oldest existing national parks in South America. Subsequently Parque Nacional Villarrica was created and through the years many more parks were added, public and private, leading to today’s extensive Chilean National Park system. Unrestrained cutting and burning of the native forest continued in south central Chile through the early 1900s. Federico Albert Faupp (1867-1928), a German forester arrived in Chile in 1889. Considered to be Chile’s first trained forester, he initiated one of the first tree nurseries in linares, and a dune control reforestation program in Chanco, both in the Maule region, and published the periodical Bosques, Pesca y Caza . In 1911 he was responsible for creating the General Office of forests, Fisheries, and Hunting and in 1912 proposed a comprehensive Forest Law that was not adopted due to pressure from loggers. However, in 1931 the first forest law become official. During this period the area of natural forest cleared between the Bío Bío River and Lake Llanquihue was especially aggressive. By the beginning of the 20th century, the landscape throughout south central Chile was marked by decades of resource extraction and tree cover destruction. Dense natural forest remained only on the coastal range and higher Andean mountains, the areas more difficult to clear and farm. As a result of the clearing, and the granting of titles to the new settlers of lands believed by the indigenous inhabitants to be theirs, conflicts worsened between the government and the Mapuches, especially over forest land use. In the early 1900s the coal companies near the coastal city of Concepción had already established large plantations of pine and eucalyptus to produce poles, supports and fuel wood for mining activities. The social reform governments in the period 1940-1970 all viewed pine plantations and industrial forestry as a way to employ itinerant rural laborers in more stable full time forestry work. The idea of establishing extensive forest plantations was gaining broad acceptance, even though the focus on plantations clearly favored large logging interests and wood products industries, creating more displacement of campesinos and Mapuches onto less productive lands. The adoption of methods of land use and forest management featuring plantations of exotic tree species was totally alien to the Mapuches, who had a very different view of land ownership and cultivation practices. To this day they have a much closer cultural link to the land and with the more biologically diverse native forest. They find plantation forestry with introduced species especially abhorrent, one of several irritants affecting relations between the Mapuches and the forestry sector that uncomfortably cohabitate south central Chile. 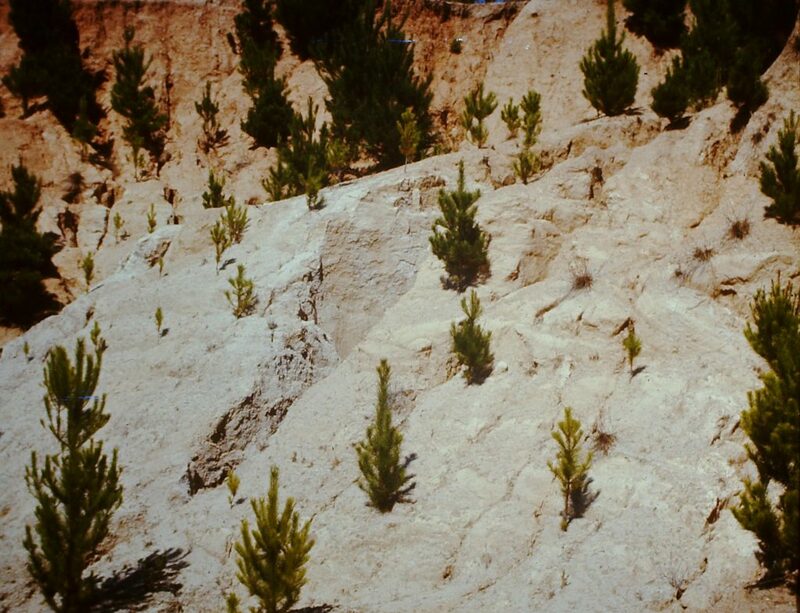 During the mid-1900s public policies accelerated and extended the planting of Monterey pine further down the Pacific coast of Chile. In response to the growth of commercial forestry, the forest engineer career was created within the Agronomy School of the University of Chile based in the Capital city of Santiago, and soon after at the Austral University in the southern city of Valdivia surrounded by verdant native forests. The policies that defined what landowners did with their land and their trees relied heavily on scientific forest management practices transferred from the northern hemisphere, focusing on the explicit link between plantations and industrial capacity to process the wood produced. The inclusion of forestry graduates from the US, freshly educated in these forest management practices, seemed to make sense. Hence, the significant commitment made by the Peace Corps to support the reforestation programs. Frei’s agrarian reform of 1967 exempted forested land from the threat of land confiscation. Instead of forest land redistribution, the government invested in forest industry infrastructure, expanded reforestation, built new pulp and paper companies, and increased state oversight of native forests. 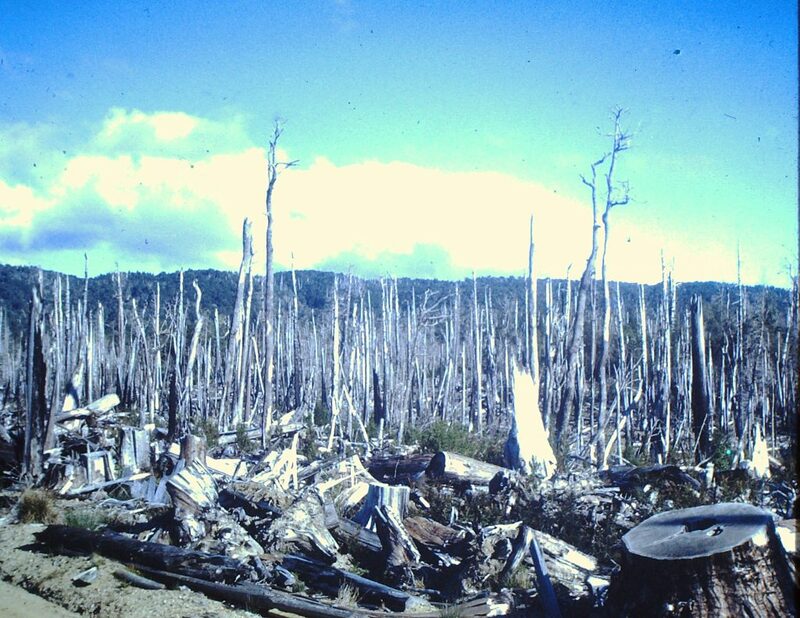 There was evidence that plantation forestry would take pressure off the native forests. 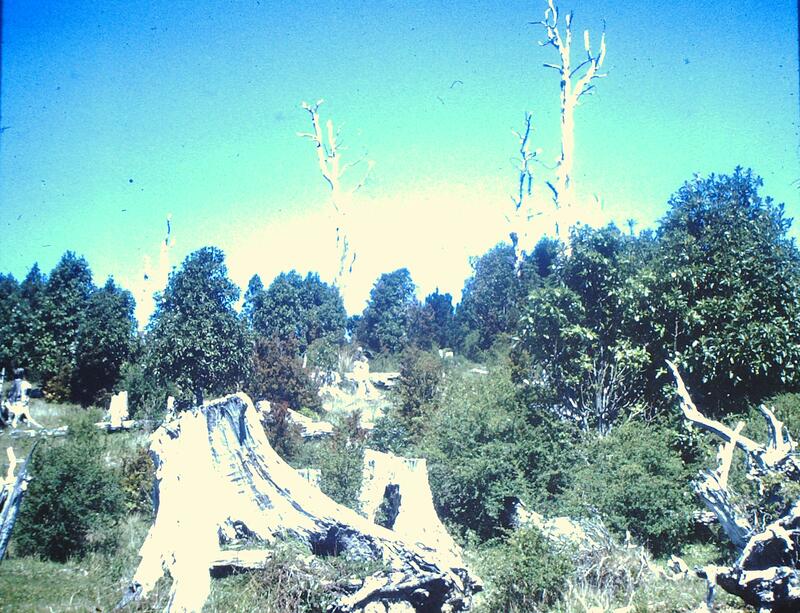 To the extent that this proved true, environmentalists concerned about the decline of the native forest were encouraged and they gave some support to the reforestation effort. To further protect the native forests, increased restrictions were placed on forest exploitation. Meanwhile, local sawmills began to shut down and lay off workers as a result of diminished harvesting and availability of native wood from the natural forest. Many land owners shifted away from wood harvesting on native forest lands into extensive livestock operations, an activity that required fewer workers. At the same time additional natural areas were designated as national parks or forest reserves, further limiting the area available for extensive grazing and wood harvesting that local inhabitants depended upon. Studies done at the time suggested that two thirds of Chile’s useful land was suitable for forestry, an important fact because 50% of the campesinos lived in those areas. Taking this into account, reforestation seemed to be a high priority option to add value to these lands. To promote and implement the new forestry programs, important public institutions were created to increase the rate of forestation and reforestation, improve forest management, and raise industrial productivity. This plantation-based forestry development that Chile was implementing created great national and international enthusiasm and optimism. However, a divergent view was growing; social conflict was increasing over forest policy in Chile. The Frei foresters recognized the social costs of the reforestation and industrialization investments, so programs were created within SAG, the government’s agriculture and livestock ministry (that also included a forestry division), and INDAP, the small farmer development institute, in an attempt to discourage campesinos from leaving the land. Incentives were provided to small holders to plant trees on their eroded agricultural land, sometimes promoting mixed farming systems of trees with crops and animals. 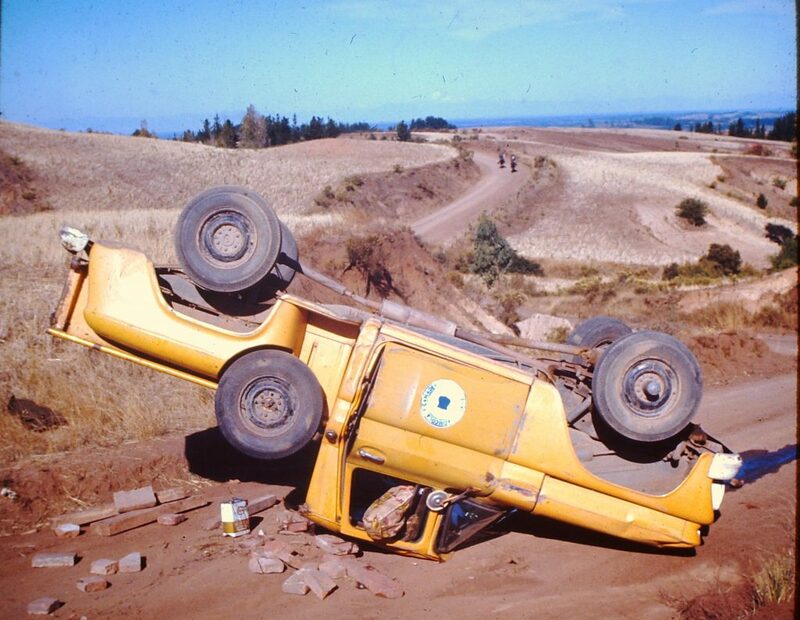 This was the forestry sector milieu Peace Corps volunteers found when we worked in Chile in the late 1960s. Many volunteers worked directly on reforestation projects in the small towns and rural areas with SAG and INDAP, while a few were placed in the government’s forestry research center (INFOR) and university forestry faculties assisting research and development projects directed at expanding the contribution of wood products and forest land management to the local and national economies. Several volunteers with specific scientific training were assigned to the growing Chilean National Park system to assist with nascent park infrastructure and public education projects. 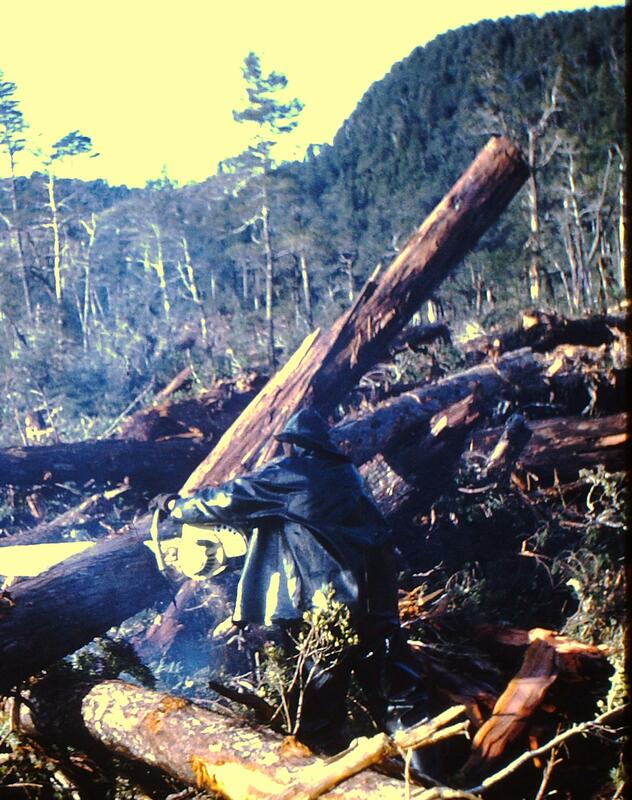 During this period, as many as several hundred Peace Corp volunteers were assigned to Chile at any one time, each fulfilling a two-year assignment; close to 100 volunteers worked in the forestry programs between 1966 and 1970. The reforestation program was a huge commitment of the Chilean government, and by the US Peace Corps as well. Al Howlett, one of these volunteers, grew up in the northeast of the US, loving the woods and the time he could spend exploring them. When it came time to enter University, he chose Syracuse University, where he studied American Studies. The campus of the State University of New York College of Forestry was co-located on the Syracuse University campus, so he entered university thinking he might transfer to the forestry program; he never did. But as fate would have it, when he was chosen for the Peace Corps upon graduation, he was placed in the Chile forestry group, as a “generalist forestry volunteer”. Al was meant to be a forester, and plant trees. In 1967, Al was sent to one of the most eroded places in south central Chile, a small town named Yumbel, to work as a reforestation promoter. His task, like others in his group, was to convince small farmers to plant radiata pine and eucalyptus on their farms to help stabilize the land and to provide firewood and posts for fences, and possibly to sell as pulpwood for the pulp and paper industry. Just to the east of Yumbel the land was relatively flat, and larger land owners were beginning to plant extensive areas with trees. 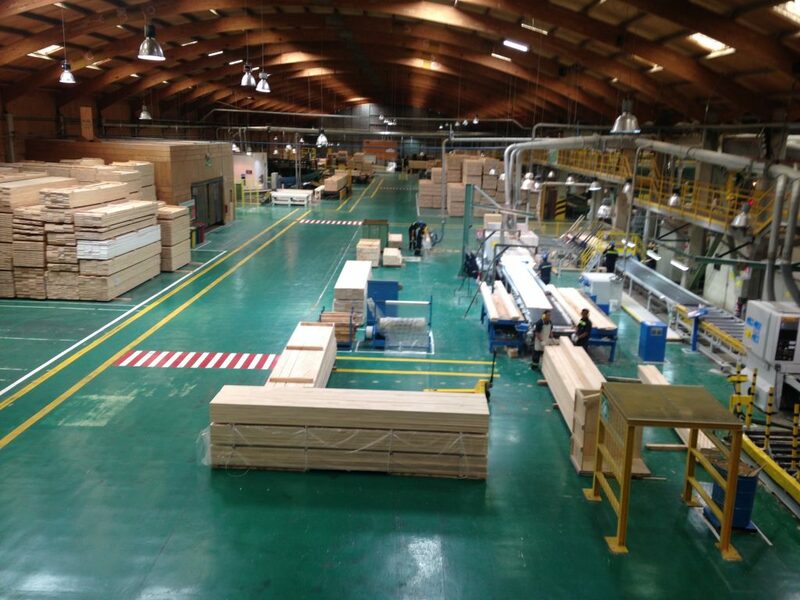 They were keenly aware of the growing demand for wood raw material from the pulp and paper industry being established on the Pacific coast around nearby Concepción and at several towns along the Bío Bío River. These farmers did not need any encouragement or support from the government forestry extension agents at SAG or INDAP. However, just to the west of Yumbel, the land was gullied by years of over cultivation of wheat. It was here that Al, and his colleagues in SAG and INDAP, found the challenge. Their job was to convince farmers who were used to clearing the land for crops, to begin planting trees instead, or maybe alongside their crops and animals. This task was helped along by the obvious decreasing productivity of the farmer’s land for crops like wheat. But it required farmers used to short term thinking, to plan for a longer period while their trees grew. Whereas wheat is harvested within one year of planting, trees may take as long as 5 to 10 years before any useful product can be harvested, and up to 20 or more for lumber. Like so many other forestry volunteers in his group, Al found a room in a small rooming house, pensión, just off the village square, where he slept and took his meals. He had a living allowance of about US$ 100 equivalent in Chilean Escudos per month; this wasn’t poverty level, but close to it. He had a desk at the SAG office, but went to the field most days with the INDAP agents, who he noticed were much more operative than their SAG counterparts. They formed committees of small farmers, had a jeep to get around, and could provide funding for some reforestation expenses on small farms. So, even though Al was officially assigned to SAG, he hooked up mainly with the INDAP team whose target group was the poorer, smaller farmers. When Al and his SAG colleagues made a wrong turn; promoting reforestation was not easy. For two years, Al did everything he could to convince farmers to plant trees on their eroded land. He made speeches in town meetings, relying on home-made posters and his rudimentary but improving Spanish to show the value of planting trees and the simple steps required to do so. He showed movies in dusty school houses to entertain children and their parents while extolling the virtues of planting trees on their land. He transported seedlings from distant nurseries, and encouraged isolated communities to create their own nurseries so they could more easily access seedlings during the rainy planting season. Al walked miles on dusty roads, rode for hours through rain on muddy country lanes to fulfill his commitments to deliver tree seedlings to farmers. In his second year in Yumbel, he and his colleagues arranged for the planting of 500,000 trees, all on small farms. For Al this represented a notable success. 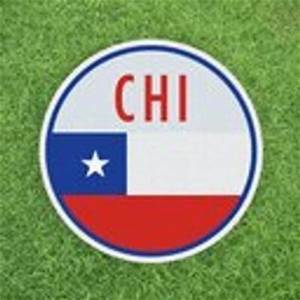 Al left Chile in 1969, after two planting seasons. He has not returned to Yumbel since, but he is sure most of these farmers benefited from the effort when time came to harvest their crops of trees and send them off to market. Al went back to the US, attended graduate school, and ultimately had a successful career with the United Nations Development Program and the World Bank. Al’s story as a forestry Peace Corps volunteer in Chile, while special, is not unique. Each member of the group who stayed the full two-year term of their service can tell an interesting tale of struggle against odds to convince poor farmers to plant trees. Volunteers Doug and Kiva McEwen spent two years in tiny Portezuelo, a stone’s throw from the bustling city of Chillán, but decades behind in the effectiveness of it’s facilities, amount of resources available to it for reforestation, and in general, the level of development. Finding very little interest and support within the local SAG and INDAP agencies for the reforestation program to which they were assigned, the McEwens broadened their attention to other community needs. In addition to trying to convince campesinos to plant pine in the eroded gullies, Doug helped double the flow of the local water supply, and turned to planting fruit trees at campesino’s home sites. Kiva taught children in the local school and worked on community development projects. All of this in a new language they had just barely begun to dominate (well, certainly Doug, but Kiva, a linguist, picked Spanish up quite quickly), in a town where their only contact was the village priest; they spent much of the first months constructing their own spartan wooden house to use as home for their two years in Portezuelo. 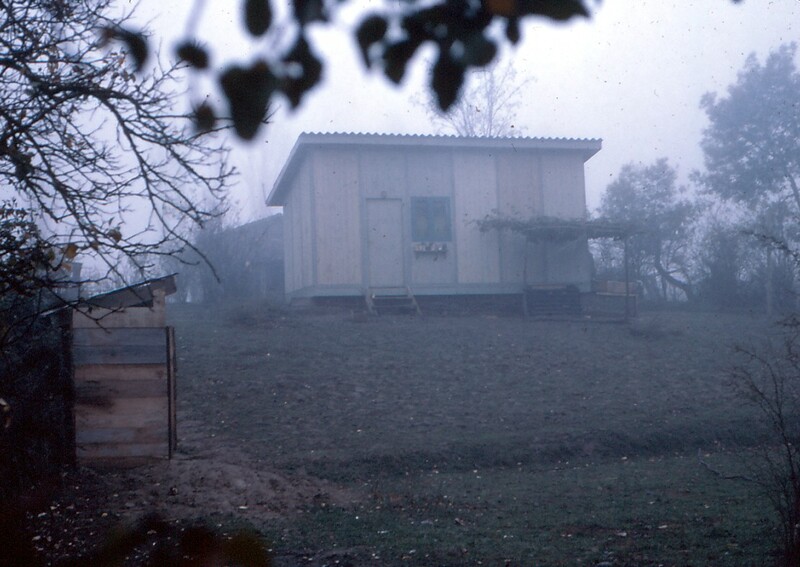 The two-room house Doug and Kiva built in Portezuelo to live in for two years. Sowing good will for themselves and their country, the McEwens continue to this day, almost a half century after arriving in Chile, to contribute to a scholarship fund they set up to provide for rural children so they could board at their school, facilitating an education these children would otherwise not be able to attain. They departed Chile having planted fewer trees than Al, but cultivated just as much good will which is, at the end of the day, a valid measure of success. Kiva with her pet goat. A vivid and faithful description of one person’s experience as a forestry Peace Corps Volunteer in Chile is the story of the fictional Tom Young, as told in the novel One For The Road, written by the non-fictional Volunteer David Mather who lived and worked in southern Chile in the late 1960s. Al told me he still recalls leaving Chile almost a half century ago full of optimism for the future of forestry on the small farms around his adopted home of Yumbel. The reforestation program was catching on, and growing, and as he tells it there was great anticipation for the upcoming presidential election of 1970. Many of the government foresters he worked with, and Al himself, were convinced that the Christian Democrat presidential candidate would win the election and their reforestation program would continue with increased governmental support. Instead, the Socialist Salvador Allende won and Chile embarked on an adventure in socialism, their “revolution flavored by empanadas and red wine”. 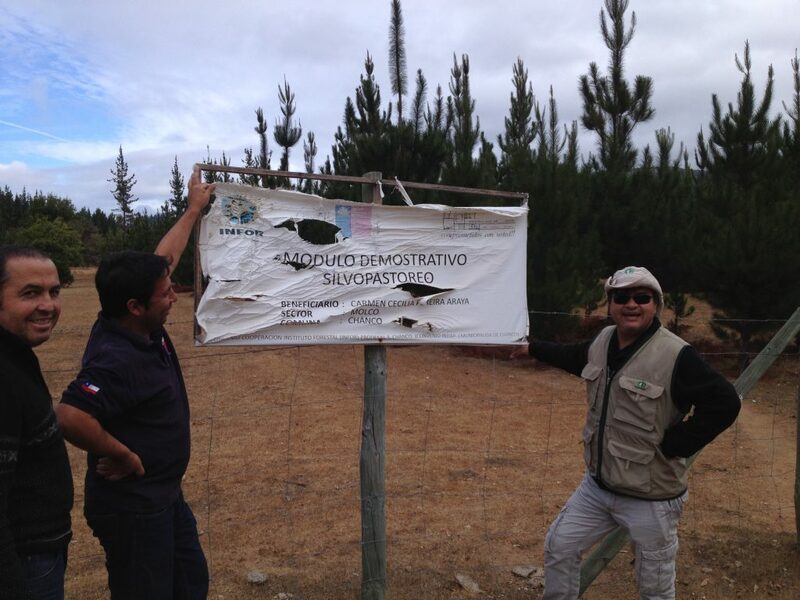 Even though the Allende government brought significant changes and policy upheavals in many areas, the massive government-supported reforestation program that had taken off in the Frei administration survived this change in administrations. Many of the same Frei foresters went on to lead the Allende forestry sector. Even after the Allende government was forcefully truncated and replaced with the military dictatorship of Augusto Pinochet, public forestry policy remained supportive of the plantation based export oriented model during that regime and subsequently through the democratically elected Chilean governments which came after Pinochet and quite successfully govern to this day. Now fast forward to 2015. In a presentation to a group of the Peace Corps volunteers who were in the same group with Al, Doug, and Kiva, the author of this blog described how a half century of public policy focus on the forestry sector has resulted in this sector being one of Chile’s most important and dynamic sectors. In 2015 over 20% of the land was covered with forest, 13.6 million hectares of native forest, one half in some type of protected status. 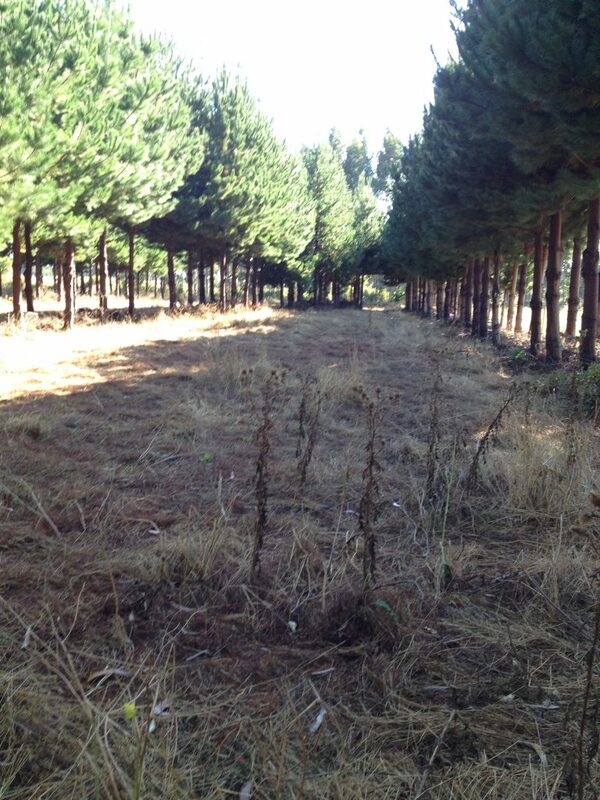 There were 2.4 million hectares of tree plantations, with over 100,000 hectares planted in 2012. In 2014, Chile’s forest exports had reached over US$ 6 billion, six times the 1990 level, making forestry exports third in importance after copper and fresh fruit; greater than wine exports. Two main factors made this possible: a consistent vision since the 1930s for the forestry sector in spite of the diversity of governments; and the introduction of radiata pine, the tree species brought from California to Chile where it grows at miraculous rates! After about 50 years of concerted development, Chile now boasts a highly productive forest industry sector, characterized by highly concentrated private ownership. However, growing objections to clearing more native forest for forestation with exotic species suggests that the area appropriate for forest plantations has reached a limit. The area of new plantations, in fact, has leveled off. 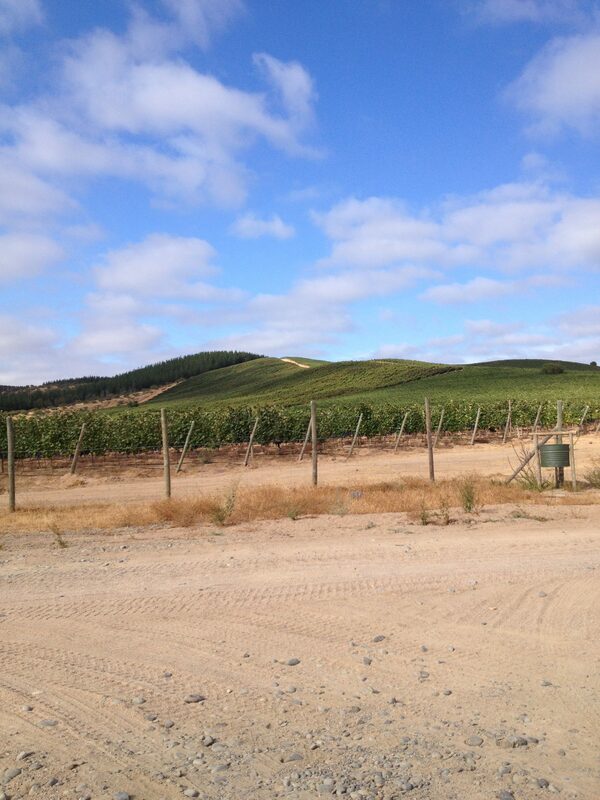 And the profile of those plantations is changing. As plantations are harvested and replanted, eucalyptus species increasingly replace more of the harvested pine plantations. 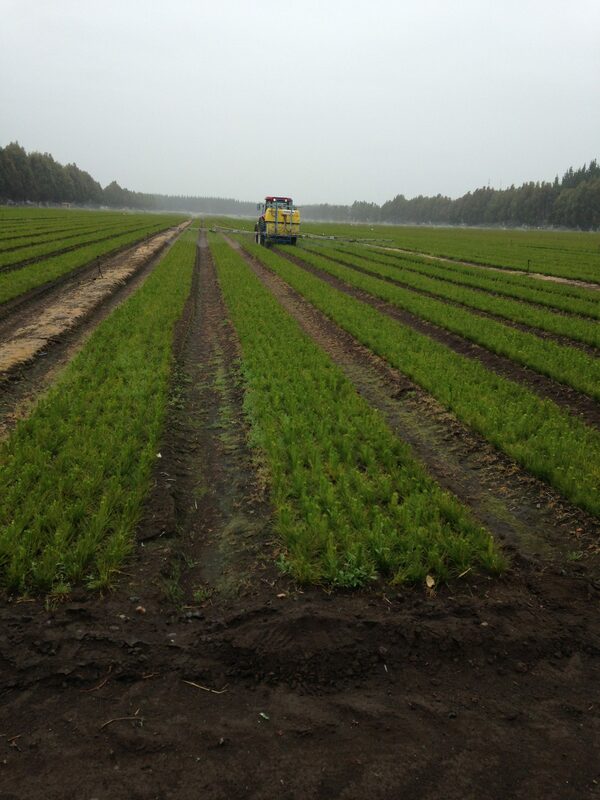 Future increases in production of wood from plantations will most likely come from systematic advances in the science of genetic improvement and plantation management practices. Over the past 50 years, these scientific advances have already resulted in an increase of 50% fiber production per hectare. Looking further ahead and a bit deeper, it’s apparent that continued growth of the forestry sector in Chile faces big challenges. Environmental practices of the pulp and paper industry are being challenged by environmental groups and the public in general. Pressure on one company near Valdivia resulted in important modifications of heretofore tolerated polluting practices, high fines for pollution, legal actions resulting in removal of corporate executives, and the establishment of a company-financed program to create protected wetlands in the area where the company’s pollution had wiped out valuable wild bird populations. Pressure from US and European NGOs on companies exporting lumber and panels forced these companies into a formal relationship with international sustainable forestry certification programs. As well, better control of traditional extensive livestock grazing and the increase in alternative energy sources in rural homes that can replace firewood are allowing regeneration of the native vegetation to recover naturally. Believe it or not, while the science of forestry and investments in the wood products industrial sector have grown in Chile, only plantation forestry has advanced; native forest management is still in a very early stage. 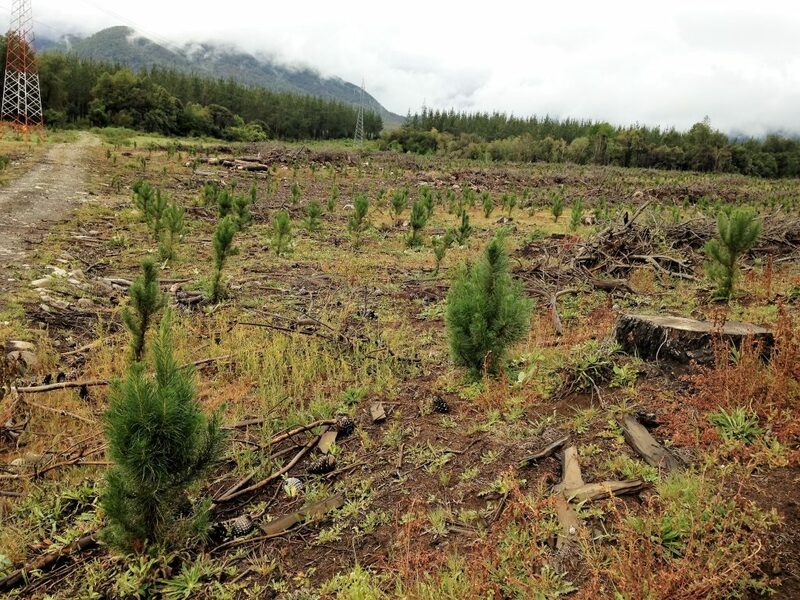 Chilean foresters, up to now mostly focused on plantation forestry with exotic tree species, are lobbying for new incentives and controls favoring the development of programs for native forest management on public and private lands not apt for intensive plantations. They also argue for much more attention to the establishment of mixed systems for small holders and farms at the margins of the native forest. These areas of crops, trees, and animals, referred to as agroforestry, if well managed are not only essential to the protection and rehabilitation of degraded soils, but also contribute to the sustainable use of the native forest and native tree species. 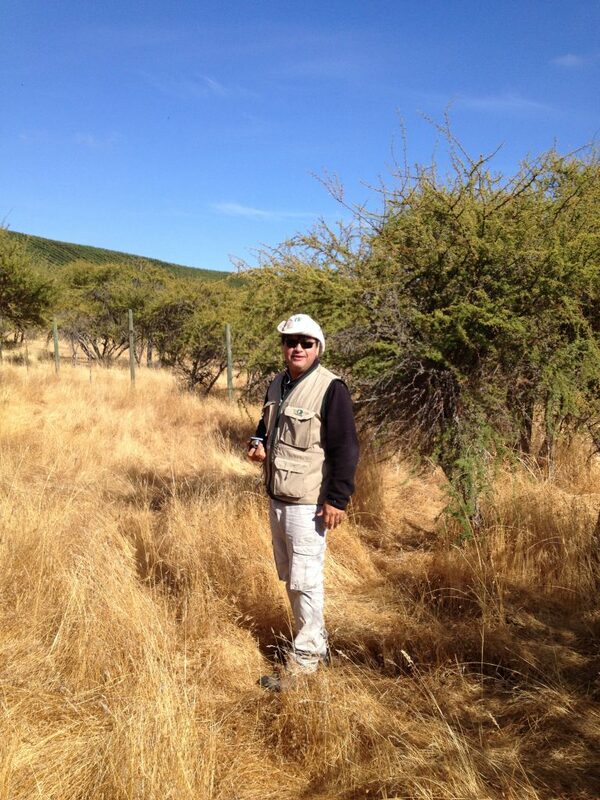 In April of 2016, I was invited by Alvaro Sotomayor, then the director of the Chilean national forestry research institute (INFOR) center in Concepción, to visit several sites in the Bío Bío and Maule regions of South central Chile, where nascent initiatives in agroforestry are being monitored. Alvaro was also in charge of CONAF’s agroforestry activities, so he and his very able assistant Alejandro Lucero introduced me over a two-day period to the concepts underlying their program. We walked over the lands they have chosen for agroforestry systems, through gullies and up and down steep slopes. Most importantly, we talked with the small holder farmers who are committed to expanding these mixed systems of trees, crops, and animals on their lands. We heard them proudly describe what was working well, and in some cases protest that a certain tree or forage species did not produce what they expected. Admittedly, the program is in the risky trial and error stage, so some failures unfortunately happen. It’s how they will learn what combinations work, and which do not. Pasture grasses growing between rows of radiata pine. 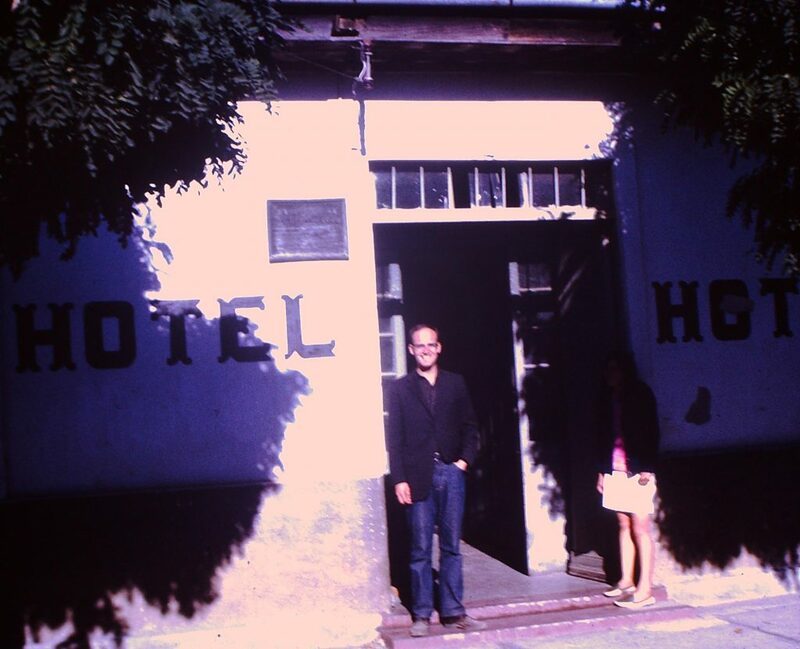 We drove north from Concepción through eroded lands and areas where expansive pine plantations had been established over the past forty or so years, to an area around the small city of Cauquenes. We visited two farms, Los Aromos and San Adolfo, where the combination of several tree species with pasture grasses for feeding cattle is being tested. Several of the plots we saw were clearly indicative of a system that could be expanded throughout a greater area. However, one farmer also showed us a plot where the cattle were not eating the grasses planted under the pine trees; a good data point for the experiment, but disappoining and somewhat costly to the farmer. He was not going to try that approach again, he declared, highlighting the risks inherent in this early stage of the agroforestry experiments. 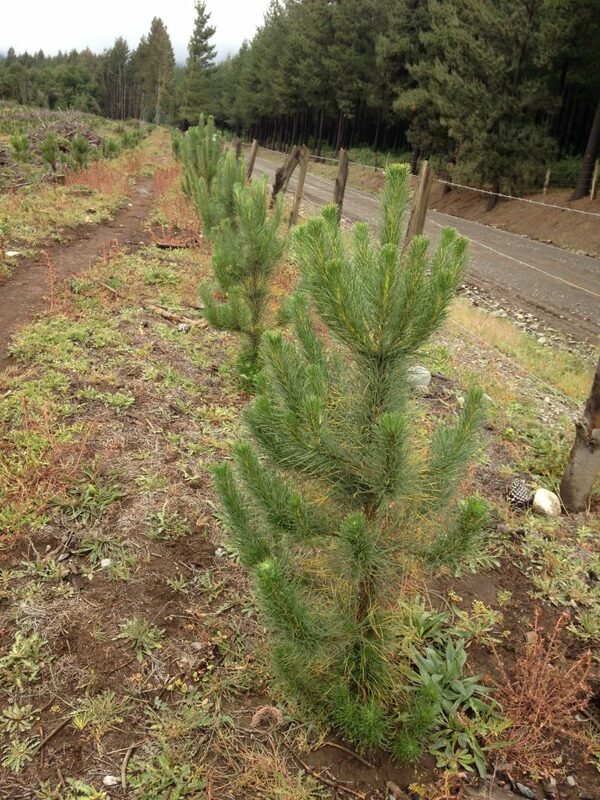 We then went on to the smaller nearby town of Chanco, again an area of very successful pine plantations. 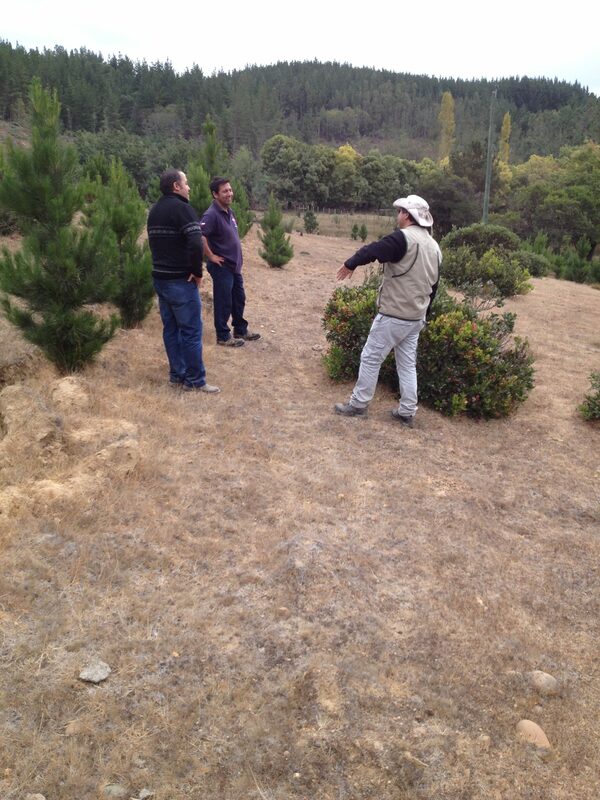 On the Molco site we visited with the owner, Cecilia Pereira, who explained her silvopastoral trials to us. She was pleased with how the trials were going, and seemed committed to continuing in the program. The following day Alejando and I traveled south from Concepción, past the historic coal mining town of Lota and the modern facilities of the Arauco wood products industrial complexes, to the towns of Lebu and Cañete. This area is heavily populated by Mapuche farmers, and the day we visited there were outward signs of the conflict in that area between them and the up to now prevailing land use and ownership trends. We quickly passed by one farm that had been taken over; the entrance was physically blocked by groups of workers and their supporters. The owners of the farms we visited, Sara de Lebu, Reputo, and Hualqui, were committed to finding pasture grasses that would thrive within widely spaced rows of pine, eucalyptus, and aromo (a leguminous tree species). Better use of windrows and streamside plantings can both increase production of fibre for posts, fuelwood, and lumber, and provide protection to waterways, pastures and grazing animals. In most cases farmers are trying out different species of pasture and tree species to perfect the agro-pastoral-forestry systems they are already using, and to identify new and better systems for the future. The agroforestry approach to farming turns the traditional view of trees and agricultural land on it’s head. Instead of seeing the tree as an enemy to be eliminated from the farming system, it is seen as a contributing element in a more complex and sustainable system. Hence, not only the science of farming must change to integrate trees with crops and animals, but also the way agriculture, animal husbandry and forestry are taught. Once the agroforestry options begin to be accepted, it will take years, decades really, to instill its complexity in the normal thinking of society, especially its agriculture planners, managers, academics, and scientists. Alvaro and Alejandro are at the forefront of this movement in Chile. As I visited these farms over those two days with Alvaro and Alejandro, and talked with several extension agents in the field who are trying to move the agroforestry system of farming along, I couldn’t help but think about Al, Doug, Kiva and all the other Peace Corps volunteers who were faced with the same challenges, through successes and failures, persistent in their effort to promote the planting of trees in Chile a half century ago. The Peace Corps is no longer operating in Chile, but if it were, several cadres of energetic, committed volunteers to assist Alvaro and Alejandro with agroforestry promotion throughout the country would be well advised, and probably well received. Of course Chile prepares qualified agriculture, forestry, and livestock management technicians, so they have the human resources to take this task on. But as an inveterate believer in the mutual benefit of Peace Corps service to the US and the countries that host the US Peace Corps, it doesn’t hurt to dream about what could be accomplished if the Peace Corps could join forces with Alvaro and Alejandro in Chile. Now, let’s imagine a Frei-scale development initiative that blends the challenge of rehabilitating a small portion of the eroded lands in Chile (estimated at half the country) with a commitment to manage in a sustainable way the very valuable native forests (estimated at over 13 million hectares). Through the progressive introduction of land management systems that include trees and other woody plants, we can ensure a sustainable flow of goods and services – including wood (now most is firewood), tourism, biodiversity, water, and education. This initiative would not be that much different than the reforestation program of 1967. Chilean leaders and society as a whole would have to agree to provide significant levels of support to people like Alvaro and Alejandro, and especially to the small landowning Cecilias who at the end of the day will pay most of the costs and hopefully reap the benefits of these changes. The commitment for another 50-year effort is justified, to wrest control of these lands away from the forces of erosion, over exploitation and neglect, and give the people the science and the means they need to manage their lands in a much more sustainable way. This is not an unreasonable proposal. After all it took that long, half a century of commitment and perseverance, to develop the forest plantation and wood products export economy to the sophisticated level it is today. Since we have gone this far with our dream scenario, we should also propose that underlying this effort, for it to be successful, there must be more effective approaches to addressing the land ownership and resource management issues important to the key producers in this scheme: small holder farmers and small scale agricultural and wood products businesses. And above all, we make a reasoned pitch for including the Mapuche community front and center in this effort, and include a firm plea that this effort be backed up by incentives of sufficient scale to make a difference, equal or even greater than the national commitment of resources that was made over the past fifty years to the benefit of forest plantation and export-oriented wood industries sector. We are on the cusp of this new era of productive land management in Chile, in which agriculture, livestock, and tree culture blends together as one, not in competition but in productive harmony. But again this initiative requires leadership and vision from political leaders. Is it there? Let’s hope so, because surely Eduardo Frei, his team of Chilean foresters and all those who followed are watching. So are Al, Doug, Kiva, David, and all the other Peace Corps volunteers who served the cause of a reforested, verdant Chile. This posting is dedicated to them; Thank you for your service. Posted in Santiago, Chile. November 26, 2016. Great Story David. It reminded me of one of my visits on contract to Inter-American Development Bank, inspecting local compliance with the environmental management requirements of their large loan projects for hydro-electric power installations. At the time, and as an official recommendation to the Bank and the Government of Chile, I put forward the notion of Chile reserving “Wild Rivers” instead of taking and using the water resources of every river flowing out of the Andes for hydropower or irrigation. My recommendation was not well received in Chile at the time because they were suffering from some kind of an energy crunch and felt that hydropower would be the answer. I told them candidly that their nietos y nietas would thank them for having saved some rivers from development and would also save them from having to do what we are now doing in the US, removing obstructions and restoring “ecological flows”. And of course, since the native broadleaved forests are the predominant forest cover of the Andean watersheds, we also recommended more attention and resources for natural forest management. I assume that you are the Tom Catterson with whom we were friends in Chile in the late 60’s. What/where/how are you? I can be reached on basstrb3@gmail.com. 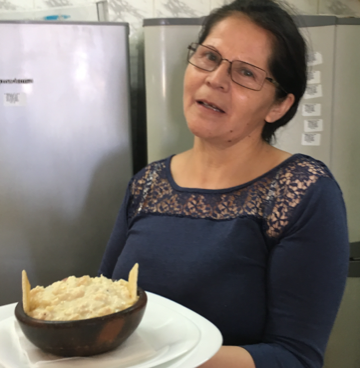 What I enjoyed most about this blog is the way it demonstrated that the Peace Corps volunteers made a significant contribution to development in Chile. Thanks,Dave, for this thoroughly researched and illuminating history of forestry as well as for your thoughts on the importance of Agro forestry to Chile’s future. 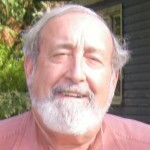 Dave-I enjoyed the blog on PC and forestry. As someone who worked so much in monoculture a la fuerza I am a strong supporter of diversity any way we can get it. Agroforestry is wonderful as is mixed plantations, wheat mixes, or crop mixes, for that matter–as long as it works for the land owner. It should be more sustainable. Amen! I am student of magister in history in addition to ex brigadista forestal of conaf and I am looking for information on the bodies of peace in Chile specifically in the combat of forest fires for my thesis I wish I could receive information and help for my work.